Anime Limited’s “12 Days of Christmas” promotion continues to deliver a few surprises as Day 4 (4th December 2018) promotions revealed a Limited Edition Season 1 & Season 2 Collection for Assassination Classroom will be released on Blu-ray as an Anime Limited store exclusive. 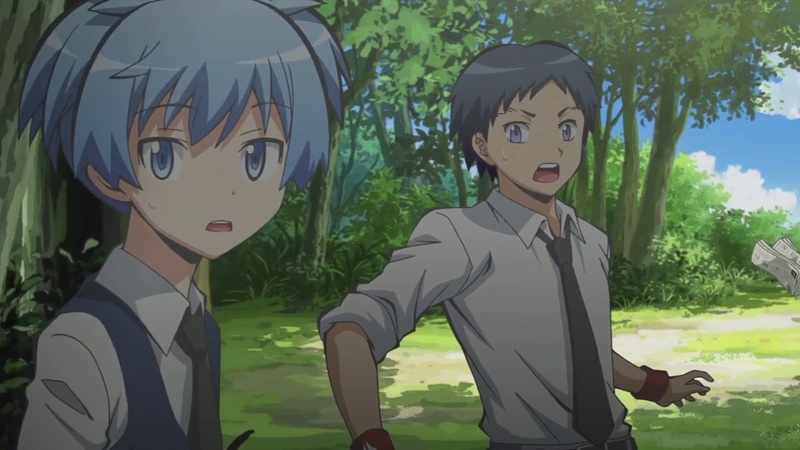 Originally released on Blu-Ray as half-season sets, with Part 1 containing the art box to hold box parts of each season, this ‘Anime Limited Store Exclusive‘ Season 1 & 2 Collection of Assassination Classroom will combine all four parts into a single release and will be available on the 17th December 2018. In this case two amaray Blu-Ray cases, each of which will be an entire season across four Blu-Ray discs, will be packaged inside a rigid artbox – with completely different to previous art box releases – alongside a booklet featuring 32 pages of artwork and information. Assassination Classroom is available on DVD and Blu-Ray as half-season-sets while this Limited Edition Season 1 & 2 release is available to pre-order exclusively from the Anime Limited store and is scheduled to be released on the 17th December 2018.